© 2010 Chun Y Lai. All Rights Reserved. 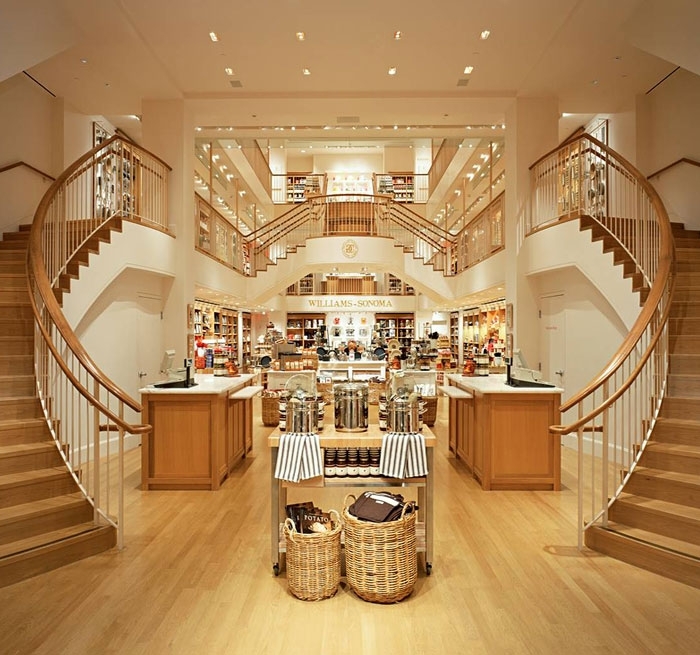 Williams-Sonoma started in 1956 with one store. Today, they operate more than 250 stores nationwide. 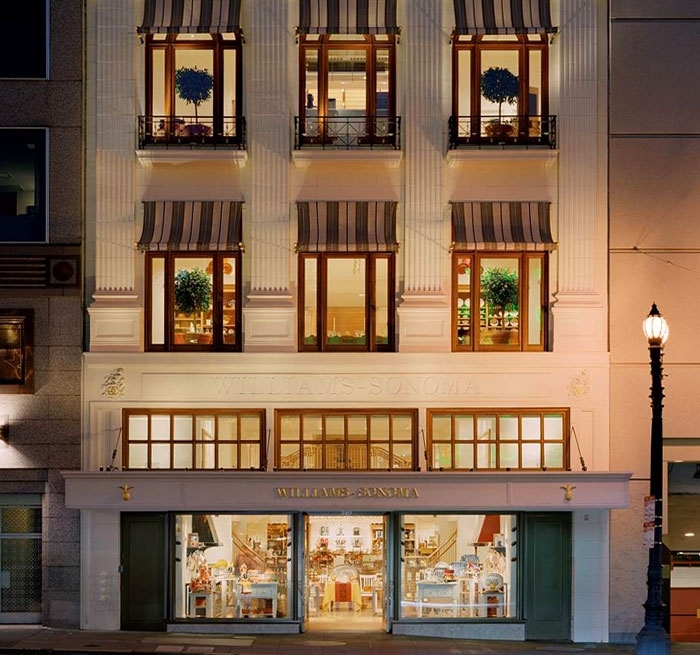 The flagship store is located in the historic Bullock & Jones building adjacent to Union Square in San Francisco’s premier shopping district. Auerbach Glasow designed and coordinated the lighting system as well as the lighting controls strategy for the four-level space adhering to California energy conservation code Title 24. 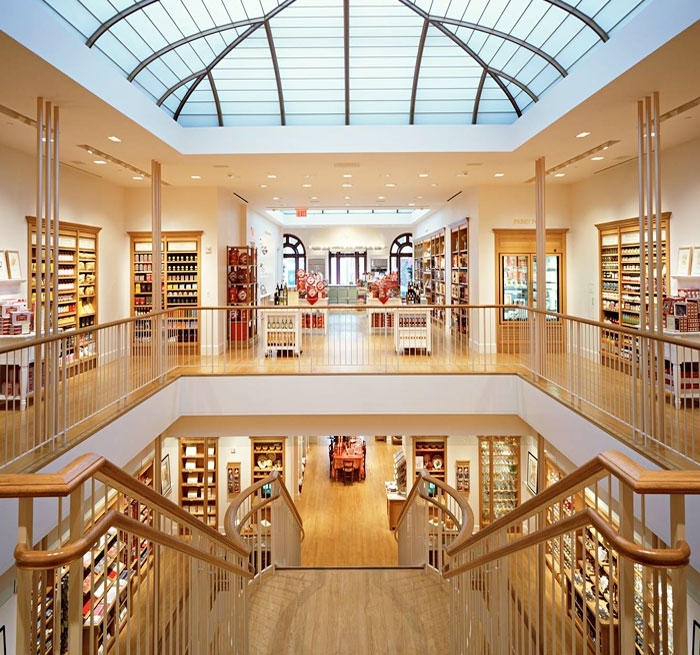 The firm provided lighting design for the interior entry, retail displays, atrium and cooking demonstration areas. The design team altered and improved the interior of the building by incorporating soaring ceilings where possible, an atrium with glowing laylights, and a floating grand staircase. The driving factor in the lighting design, in addition to aesthetics, was the color rendition of the product and wooden casework. A highly flexible dimming preset control system typically found in theatres was installed to accommodate the store’s special events. The system is programmable via laptop or touch screen using state-of-the-art software. The exterior lighting design includes the store’s historic façade and canopies where all of the lighting fixtures are hidden from view at street level. In the exterior lighting design, every effort was taken to minimize spill light. A warm color of light was selected to complement the warm tone finish of the façade.